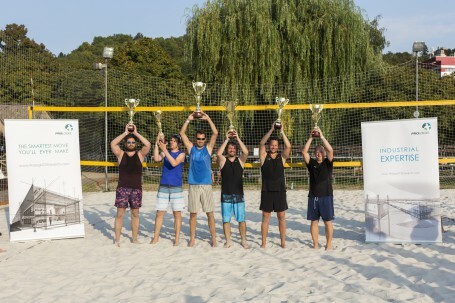 Prologis, Inc, the global leader in logistics real estate, held its fourth annual beach volleyball tournament on Friday 2 September at Žluté lázně along the Vltava River in Prague. Business partners and customers joined members of the Prologis Czech and Slovak teams for an afternoon of friendly competition. Sixteen teams participated in the volleyball tournament, with many of their colleagues coming along to cheer them to victory. More than 50 guests enjoyed the gorgeous late summer weather and delicious food and drink amid pleasant business conversation. First place honours went to The Maurice Ward Group, with Sportisimo claiming second. In bronze medal position was DB Schenker.